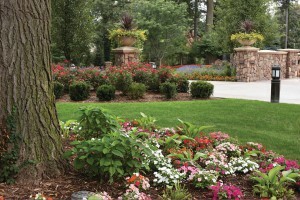 Our experienced installation team turns landscaping design concepts into reality. Whether planting a single tree or installing a poetic combination of flowers, greenery and shrubs across an entire property, we aim to please. We plant stunning lines and attractive contrasts against accent stone and brick.